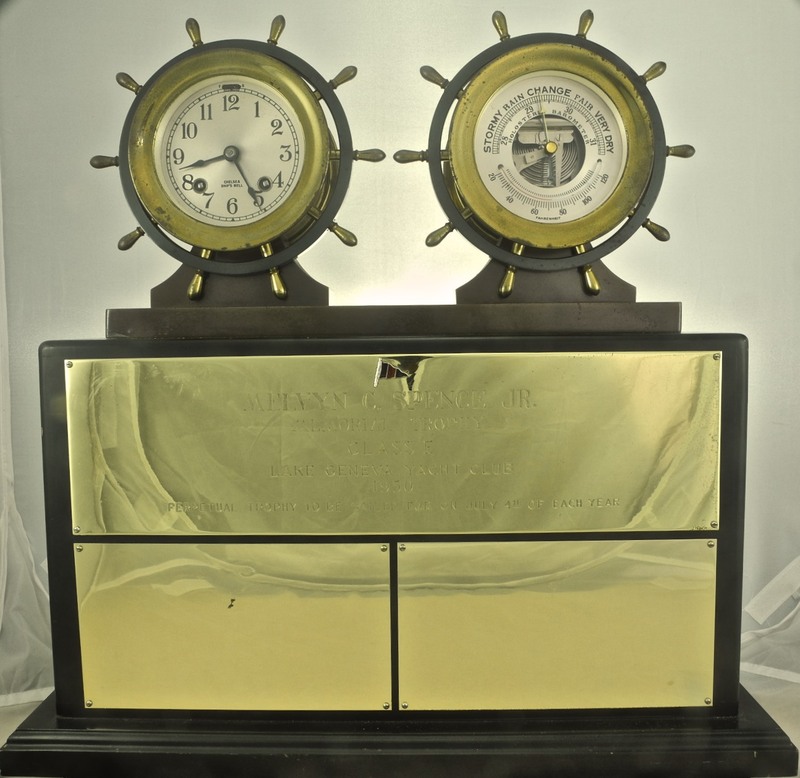 In 1950, Lake Geneva Yacht Club members donated a brass ship’s wheel clock and barometer on a mahogany base. The trophy, which was made by Spaulding & Co. Chicago, honors the memory of Melvyn C. Spence Jr., who had been a member of the Class E fleet. It is a perpetual trophy for a Class E race to be sailed on the Fourth of July.